The ground beneath my feet wasn’t nearly as interesting as watching what was happening on the ground beneath my feet. 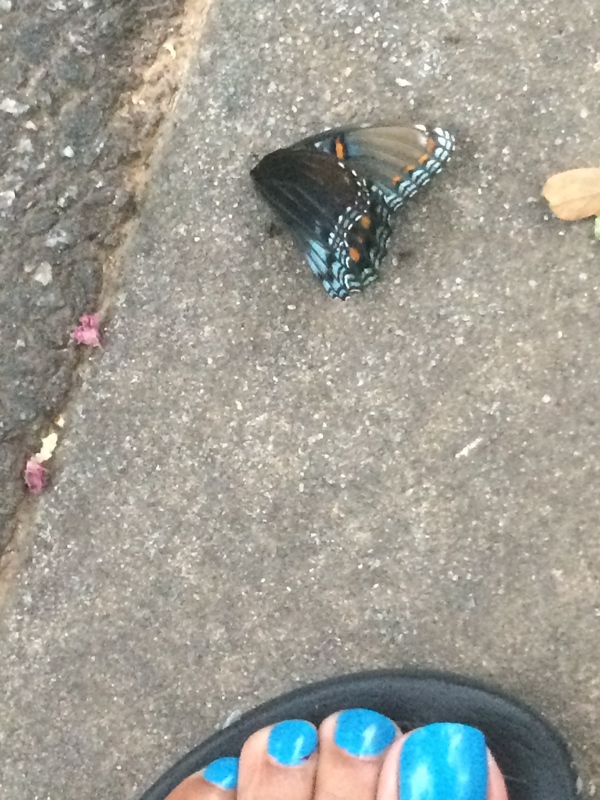 I witnessed the sad, slow death of this beautiful butterfly at the hands of an ant family. His pretty wings, with touches of blue that matched my toes, fluttered periodically in a futile attempt not to be dragged away and served for dinner. There was nothing I could do but let nature take its course. This challenge made me realize how often the ground beneath my feet changes on my short walk. Today it ended the way it started — with a dead bug. Look down to see the wonders beneath your feet at The Daily Post. Nicely matchd with the butterfly!